William A. Kolibash is a member of the firm of Phillips, Gardill, Kaiser & Altmeyer and focuses his practice on civil litigation, corporate investigations, corporate compliance programs, personal injury law, and white collar criminal defense. Mr. Kolibash received his Bachelor of Arts Degree from Brown University in 1966. He earned his law degree from West Virginia University School of Law. While at West Virginia, Mr. Kolibash was a member of the West Virginia Law Review. Mr. Kolibash served in the United States Army from 1969 to 1973, where he attained the rank of Captain while serving with the Judge Advocate General Corps. He also served as an Assistant United States Attorney for the Northern District of West Virginia from 1973 to 1981, and as the United States Attorney for the Northern District of West Virginia from 1981 to 1993. In 1991, Mr. Kolibash received the Federal Executive of the Year Award presented by the Federal Executive Institute Alumni Association for Extraordinary Achievement in Executive Management and Personal Leadership resulting in Distinguished Achievements in Public Service. Mr. Kolibash has received the Federal Bureau of Investigation Director?s Community Leadership Award in recognition of outstanding service to the community in the prevention of drug abuse. Mr. Kolibash has also been the recipient of the Distinguished West Virginian Award and the West Virginia Trial Lawyers Presidents Award. 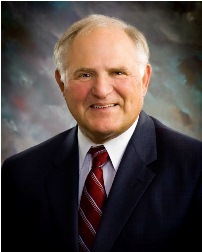 Mr. Kolibash is admitted to practice in the State of West Virginia and the United States District Court for the Northern and Southern Districts of West Virginia, the United States Tax Court, the United States Court of Appeals for the Fourth and Federal Circuits, and the United States Supreme Court. He is a member of the West Virginia State Bar, the Ohio County Bar Association, the American Bar Association, the Association of Trial Lawyers of American, and the West Virginia Trial Lawyers Association.